A defined route over which “the public at large” can pass and re-pass as frequently as they wish, without hindrance and without charge. West Sussex County Council has reviewed how it develops parking schemes across the County and working in partnership with Chichester District Council, a pilot study has recently been undertaken in Chichester. This more progressive approach towards parking management, known as a Road Space Audit (RSA) has tried to determine if there are other ways for the County Council and its partners to consider existing and future parking demands. See copies of the final report and the executive summary. The Society was among a limited group of consultees given early access to the Report and submitted a response in November last year which is available here. 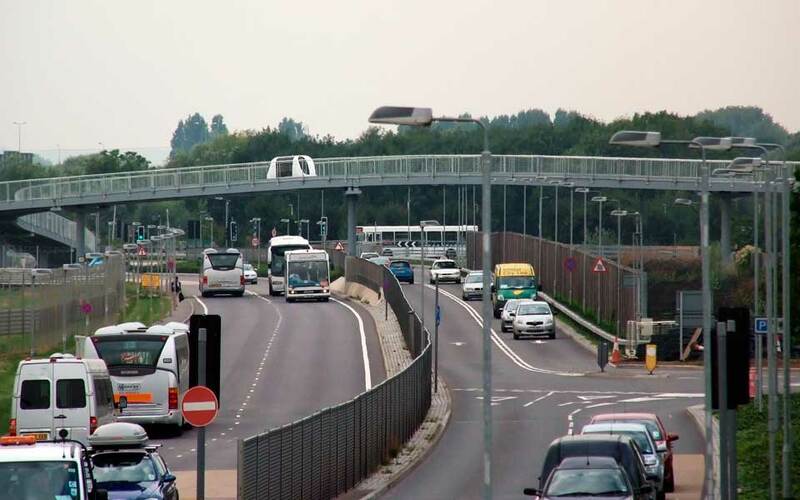 The RSA is designed to be an enabling study that complements existing statutory plans and emerging studies in respect of transport infrastructure, parking policy and spatial planning, such as ‘A Vision for Chichester’. County Councillors and officers at West Sussex County Council are now keen to ascertain whether members of the public are in support of the broad themes raised within the RSA and if these fit in with their aspirations on what they would like Chichester, the place, to be in the future. Please note that as yet, nothing has been decided and further discussions will take place pending the outcome of this consultation exercise. The online survey form can be accessed here. The closing date for responses is 31 October 2017. The A27 improvement scheme around Chichester has been scrapped by Secretary of State Chris Grayling due to disagreements between local councils and the widespread opposition. The continuing damage caused to buildings and pavements was brought to the attention of the Chichester Conservation Area Advisory Committee (CCAAC). Alan Green, Chairman of the CCAAC wrote several strong letters to the leader of West Sussex Council. This produced words of sympathy but no action or solutions. As a result it was suggested that the residents might see better results if complaints came from an official body. Subsequent discussions with Highways England led to a sign being put up to deter HGVs from entering the Pallants. This has certainly helped as lorries have been observed backing into the South Pallant Car Park to return up Old Market Avenue. At last we have the prospect of a safe crossing of the A27 at the Whyke roundabout. The new bridge is in place and the approach steps and ramps appear to be in an advanced state of preparation. Highways have done what they were tasked to do, and the design (in my opinion as a long time teacher of Design) is quite pleasing and elegant. The A27 problem has been solved, but unfortunately not the attendant problems of the B2145 (Whyke Road and Hunston Road). Approaching the new bridge from Whyke Road, a pavement takes the pedestrian towards the A27 on the west side, but stops some 50 yards from the roundabout. Here it is necessary to cross Whyke Road in order to continue on the pavement which connects to the roundabout on the east side. At the roundabout it is necessary to cross to the west side again to access the new bridge. Drivers leaving the A27 and heading into town often seem not to appreciate that they are entering a 30 mph zone, and often exceed the limit, at just the points where pedestrians would be obliged to cross. The Council are looking into the problem, but is seems unlikely that a solution will be in place when the new bridge is scheduled to open, or for some time after. A similar problem exists on the Hunston Road side. The pavement on the West side connects directly to the bridge, but runs out a short distance from the roundabout. To continue south, it is necessary to cross the road in order to pick up the pavement to Chichester Lakes, but at the entry point to the lakes, the pavement ends, and further progress towards Hunston is at the mercy of the traffic. Crossing the Hunston Road at any point near to the roundabout is hazardous as the sight lines are restricted and the speed limit is an astonishing 50 mph! There are other safe ways of accessing the bridge from the town side, but these are circuitous and not obvious. Similarly, there is a footpath to Hunston which crosses the fields behind the old Carmelite Convent and emerges by Canal Corner. Again not particularly obvious and no help to people wishing to visit the lakes or walk or cycle to The Mundhams. The Chairman of the Society, Richard Childs, Society issued a press release on 19 January which reads as follows. ‘The Chichester Society has looked at the maps recently published by the Observer showing possible upgrades for the A27. Richard Childs, the Chairman, said “The Chichester Society has a responsibility to support whatever is best for Chichester as a whole”. We currently have a situation in which everyone agrees that something must be done. Predictably, North Chichester and Lavant have come out in favour of a southern route, and South Chichester and Selsey in favour of a northern route. The original document can be viewed by clicking here.